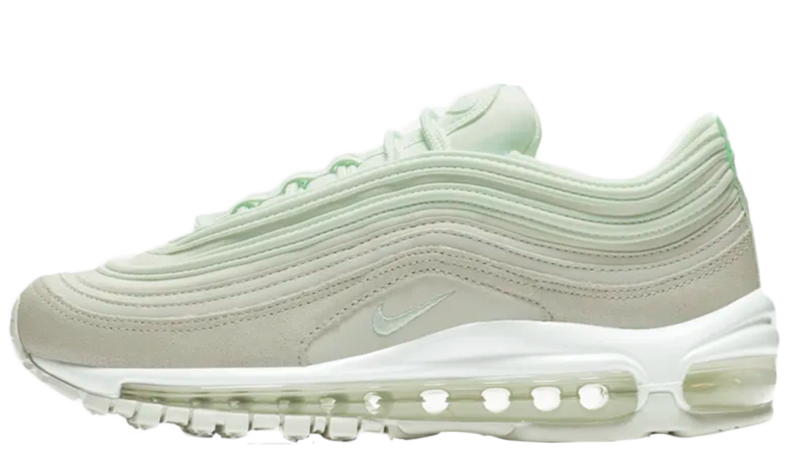 The perfect mint green sneaker has arrived in the form of the Nike Air Max 97 Premium in Barely Green/Spruce Aura/Barely Green. 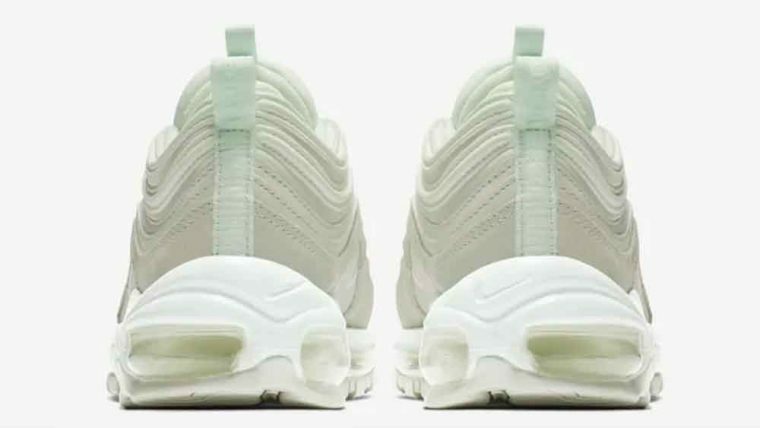 The AM 97 is a popular choice, so it’s no surprise that Nike has experimented with yet another colourway. 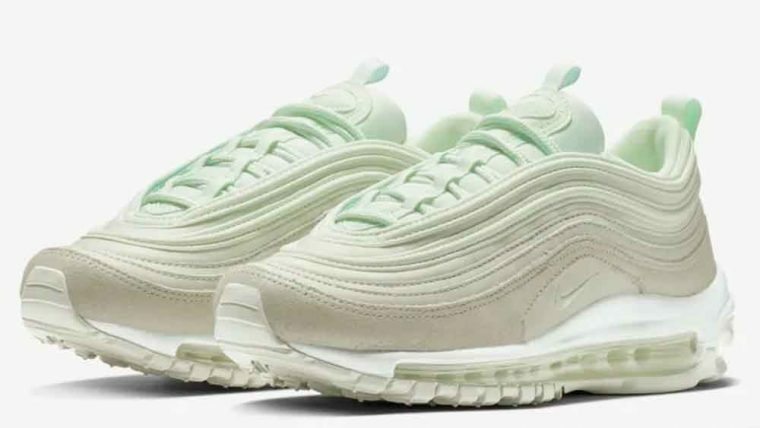 This time around, the 97 is dressed in a fresh minty green synthetic and textile upper. Layers of colour are stacked on top of each other and form a sort of gradient. And the wavy lines wrap around the entirety of the shoe, creating a fluid, streamlined effect. 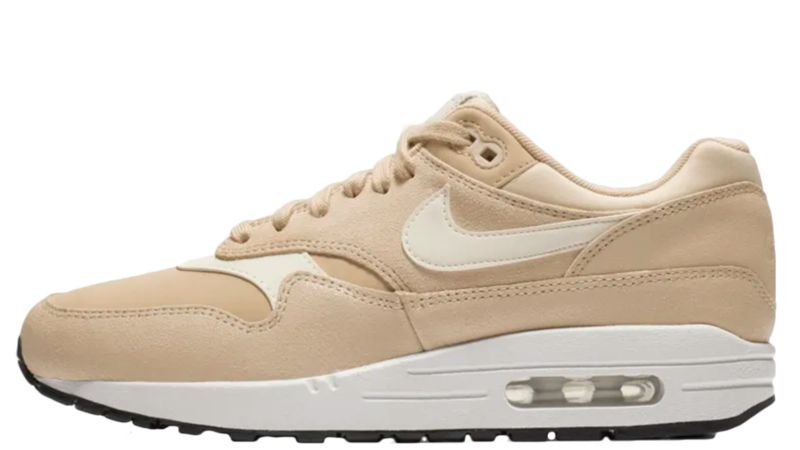 Up top, pastel green laces sit in the concealed lacing unit, again adding to the curved streamline silhouette, while a tonal green mini Swoosh is embroidered at the top of the tongue. 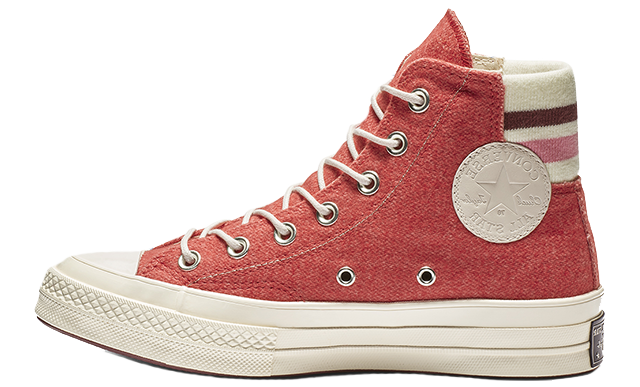 Continuing the monotone theme, a branded heel tab and tongue tab use the same hue as the laces. 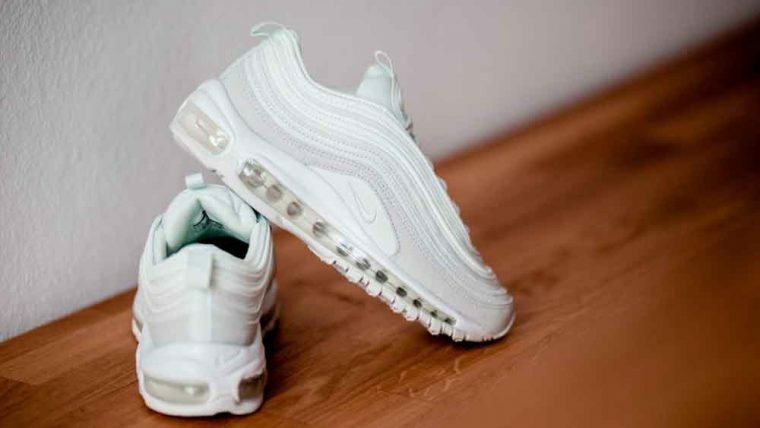 Underfoot, there’s a white foam midsole and the 97’s full length Air cushioning unit, which gives you heel to toe support and comfort with every step. Below foot, a rubber midsole gives traction. You’ll definitely feel comfy rocking these all day. Continue the barely-there colour theme by styling with other muted pastel tones… minimal and chic. You can cop a pair of these Nike Air Max 97 Premium in Barely Green/Spruce Aura/Barely Green from the suppliers listed on this page – go check them out!